The writing and work process. Embrace the 80% rule. If you are reading this, you probably play RPG’s and, at some point at least dabbled in writing adventure material. Peter and I have solicited for new contributors to this blog–both articles and adventures but without a lot of response. 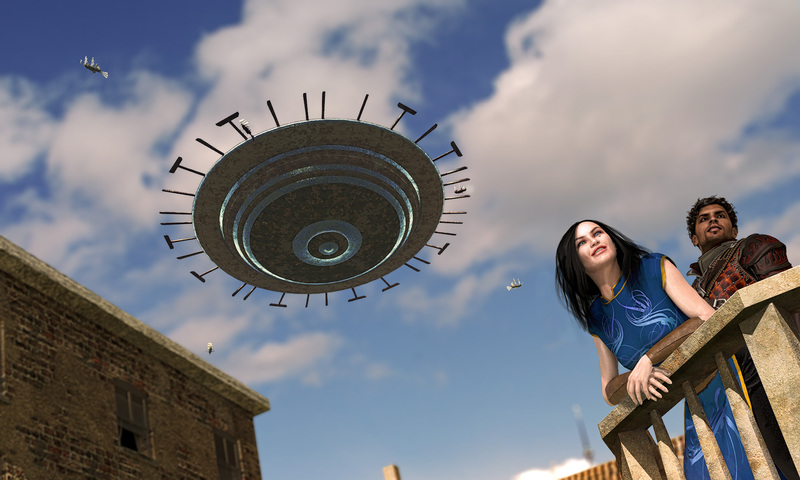 I know writers are out there…so where are they? Writing ready to publish material is tough and takes a lot more work than jotting down some adventure notes that might be suitable for a GM running an adventure. But we aren’t asking for print ready material and at this point, a steady stream of adventure or support material can only help the game. I encourage readers that have written material, adventure ideas, or want to try their hand at putting out there work to embrace a simple trick. 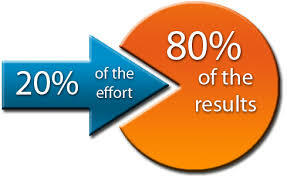 What am I talking about: the “80% rule”, which is also known as the “Pareto Principle“. Similarly, you can get 80% of the work done with 20% of the effort. Don’t worry about page setting, sentence structure, spelling or graphics. Get the bulk of the idea down, the rough narrative finished or the new spell list outlined out. Don’t sacrifice the perfect for the good! When you hit a writers block or run the idea or creative process out, either take a break or work on something different. This 80% rule isn’t hard and fast, it’s a guideline. I’m a big believer in the 80% rule in many aspects of my life. This makes me a prolific writer but an imperfect self-publisher. Most of my material is pretty raw, but the trick to my writing is the 80% rule–get the bulk of the idea, concept, narrative or story down in writing and move on. The rest of it–finalizing, small details, proofing, editing, layout is the more arduous work that takes time, perhaps expertise and PATIENCE. I would rather be prolific than perfect. Now I’ve started to go back through my various projects: BASiL, SWARM, Legends of SW, Book of Pales, Empire of the Black Dragon, and Priest-King of Shade and finalizing it. I had hoped to have editorial support for some of these works, but now I’m just pushing ahead on my own. So now I’m dealing with the other side: the last 20% takes 80% of the time! What does all this mean? Writing is EASY! However, writing good, finished ready-to-print material is HARD. Peter and I pumped out 50 adventure seeds of varying length in just a few weeks. Sure, much of our work could use competent editing and feedback, but it was down on paper. 80% was easily done. After that, the adventure hooks need layouts, formatting and finishing up. the take away is this. Don’t be intimidated by the lack of professionalism or polish in your material. And if you have an adventure, world setting, or just an idea send it to RolemasterBlog. It doesn’t have to be “published ready”–follow the 80% rule and just get it out there. Maybe we can help polish it up. Maybe it really is ready for a free download. Or maybe an experienced GM can fit it to their game or campaign. Previous PostPrevious Fleckles and Hip Action?